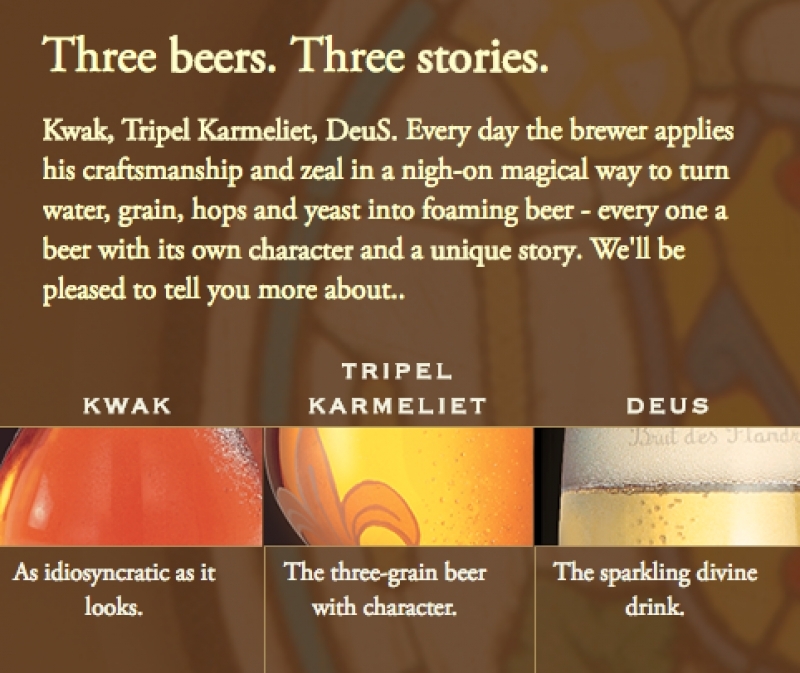 Tripel Karmeliet uses three grains to brew this authentic beer that is made from a recipe that dates back to 1679. Wheat, oats and barley and its in-bottle fermentation contribute to this ideal blend. Refined and complex on the palate with hints of vanilla mixed with citrus aromas; delivers a lightness, together with spicy lemon. Deliciously refreshing. Kwak has mellow, fruity and malty aroma with a slightly spicy character. A whiff of pineapple or mango follows through on the palate with hints of liquorice and carmelized banana. The bitterness remains in the background providing balance and clean, dry finish. 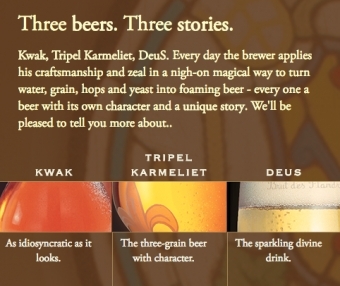 DeuS is a truly unique beer, brewed in Belgium and aged in Champagne. One cannot find such a beer from any other brewery. A light blonde to pale golden beer, saturated with extremely tiny bubbles providing the perfect mousse on the palate. Fresh apples, with mint, thyme, citrus, ginger, pears, allspice … a truly complex beer, with the finesse of Champagne. It glides over the tongue like silk with a tingling sparkle. Terra Firma Brands is proud to promote these beers in our portfolio; consistently available to licensees and private customers alike. Call us today to order!